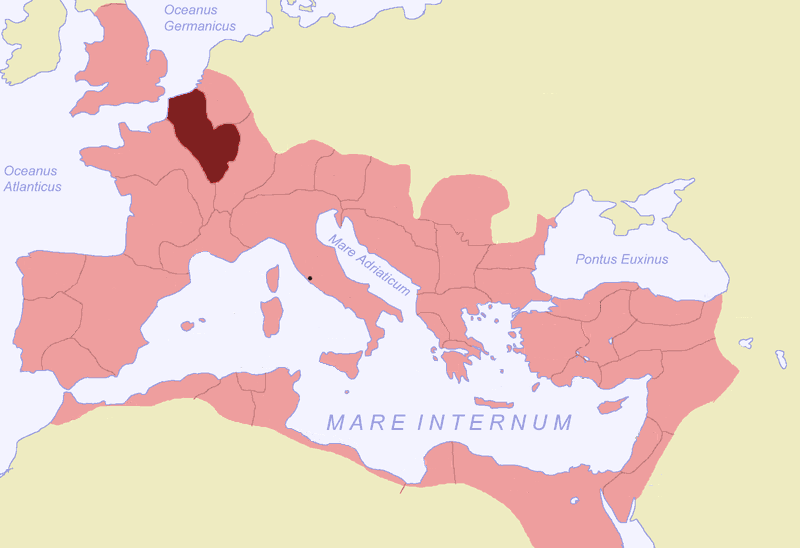 Gallia Belgica was a province of the Roman empire located in the north-eastern part of Roman Gaul, in what is today primarily Belgium, Luxembourg and the Netherlands. In 50 BC after the conquest of Gaul by Julius Caesar, it became one of the three main provinces of Gaul. An official Roman province was created by Augustus in 22 BC. The province was named for the Belgae, as the largest tribal confederation in the area, but also included the territories of the Treveri, Mediomatrici, Leuci, Sequani, Helvetii and others.